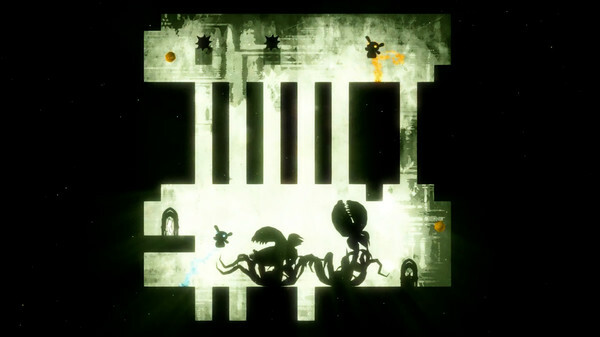 MIND TWINS - The Twisted Co-op Platformer - The dark co-op puzzle-platformer with twists. 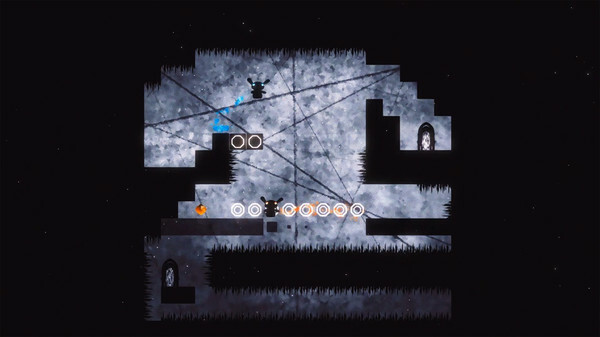 The dark co-op puzzle-platformer with twists. 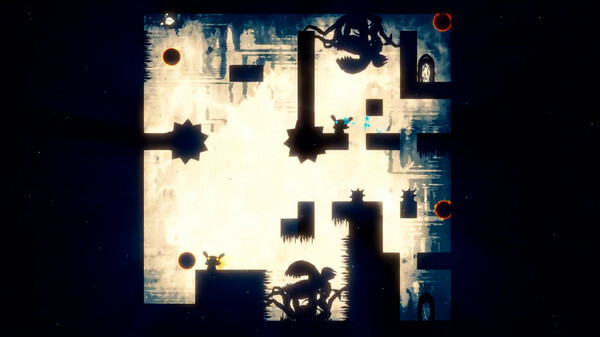 The dark co-op puzzle-platformer with twists. Solve countless puzzles, dodge deadly traps and change the gravity alone or together with a friend. If you are one of the lucky winners of a Steam key the installation is via the Steam client. If you are not familiar with activating a Steam game, go to the top menu and select Games. From the drop-down menu select 'Activate a Product on Steam'. The game will then be available to install on any computer you install the Steam client on and sign in using your Steam account. If you're new to Steam, you can download the Steam client HERE and create a Steam account HERE. Once the key has been added to your account it will be permanently tied to that account and cannot be changed. For those who won copies of Drunken Apes previous games Mind Shift (50 winners) and Mind Blox (10 winners) you’ll see some similarities via the graphic, with both the main menu and level selection screens looking virtually the same as their previous games. 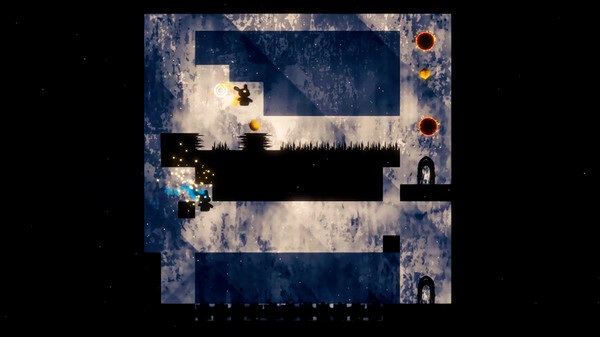 So too are many of the assets included with the earlier games; however, Mind Twins is a platformer rather than a position shifting game which both previous games were. The game was only released on Steam last week, so there’s only one community review, which you can see HERE. A simple platformer with an easy to use level creator, worth entering to hopefully win a key. Thumb up from me. If you win a key and once you've had an opportunity to play MIND TWINS - The Twisted Co-op Platformer ‘PLEASE’ take a few moments to give some positive or negative feedback; for example, what you liked or disliked about the game, or how it could be improved. If you don't like the genre at all, please explain why and if any, what improvements would change your mind? Once the competition is over, you can access the comments section by going to the game giveaways home page, then scroll to the bottom of the page where it says Archives and select the date the giveaway was live (giveaway days are in bold type). This will open the appropriate page for you to post your comment or review (Mon 6th Nov). Alternatively, you can Google the name of the game and include Gamegiveawayoftheday in the search. This should give you a list of links to when this game was given away. If you're having problems installing or activating or getting ’Mind Twins’ to work please visit the FAQ's Thread HERE and read through the communities comments in case someone has already posted a fix, or alternatively visit the Steam forums. I'd like to take this opportunity to thank the developers ‘Drunken Apes’ for giving away some copies of their game, and also to the game giveaway team, as always, for securing other ways to get free games. Whiterabbit-uk, the key has been sent to your e-mail. Thanks Alexa, will spent some time playing the game once I get back from my appointment (doctors), then will post a review later this afternoon/early evening. Hi Mavadelo, sorry - since my wife's brain haemorrhage back in October, I've been so busy I'd forgotten (Thankfully she is making a great recovery, but I still worry for her). I rarely sign into Steam at the moment. The only gam es added to my account since July have been freebies I've got via the giveaways, Delenn and it turns out I was still subscribed to the monthly humble bundle until last month (when I closed the account that services the bundle), so have several or more games from those bundles (5 monthly bundles). I've been avoiding all of the bundle sites and have not visited the Steam store in months, avoiding the Christmas sales and feel much better for it. I've been able to concentrate on my favorite games (Elder Scrolls and a few simulators such as Flight and Train sims) instead of spending shed loads of cash on games I'll probably never play and I finally feel like I'm getting my money-worth out of them :) My wife spend days checking my accounts and said I'd spent well over £40 000 on games over the last several years, which is crazy. I'll sort the game you've sent me ASAP. Thanks again, very much appreciated. You got to do all of those things just to receive a "chance" of getting one of only 25 licences for something that costs $3? It's an insult, are we that deprived and desparate? frank, Thanks for making my comment for me! I entered in the giveaway on all the ways..When i willy get the code? It's a seven day competition, with only 25 keys; so, the chances of winning may be quite slim by the end of 7 days. As it stands the chance of winning is around 1 in 10 at the moment. (with 30 entries divided into 8000 entries then divided by 25 gives just over 10% chance. You need to click on the giveaway entry every day to get an extra 20 entries each day, which may improve your chances of winning assuming not everyone remebers to return every day. Complete the tasks to get as many entries as possible. Your chances of winning increase with each entry! This offer is available for several days only." Vlutu, have you read this? "Hurry up and win one of the 25 license keys Complete the tasks to get as many entries as possible. Your chances of winning increase with each entry! This offer is available for several days only."